I love looking at home inspirations and gather ideas for my future home. 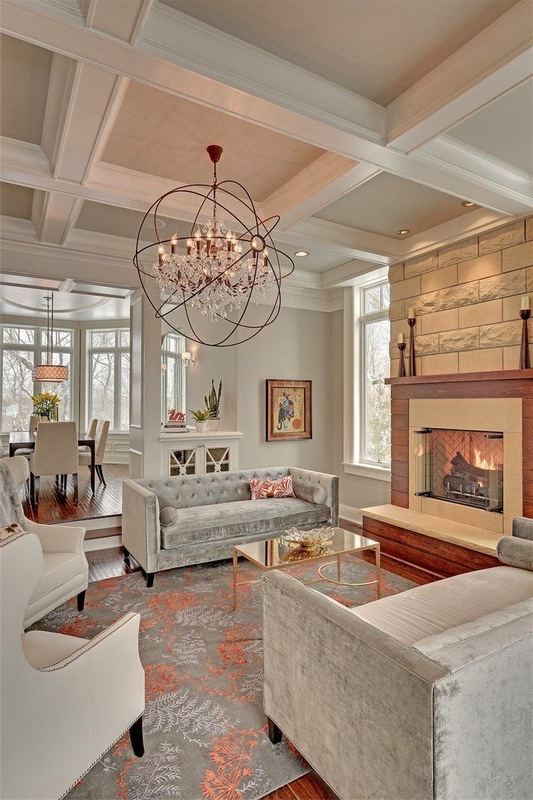 I love white color decor, it gives a dreamy and bright effect. 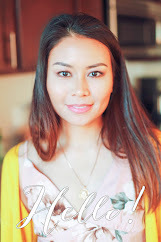 Although my husband does not like everything white, he likes some pop of colors otherwise it would be too boring and wash out according to him, and I agree! But white will be dominant. LOL. Anyway, here are my home inspirations. 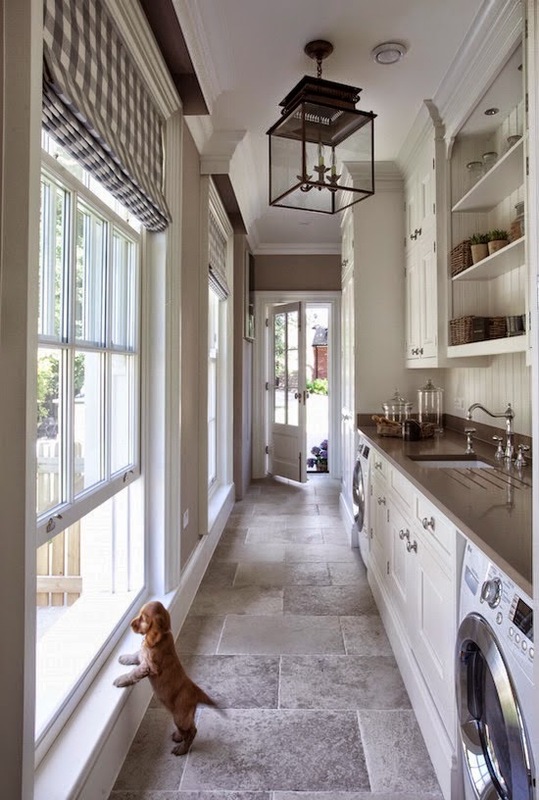 I love this laundry room. 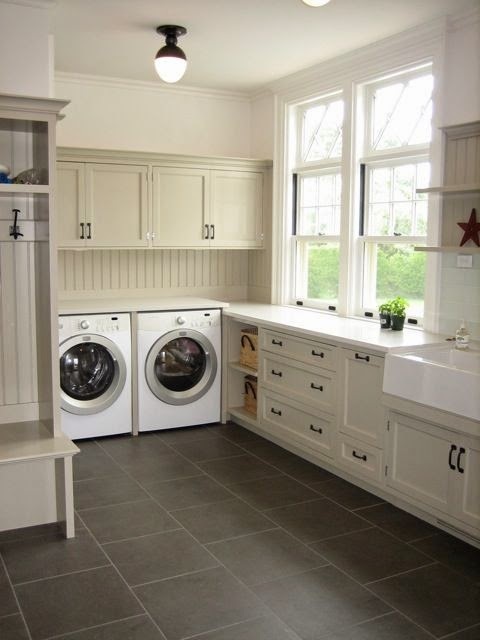 As a mom, laundry room is a must for me. I live in apartment with my awesome husband and son right now and laundry room is 1 floor away from our place and if we get a house soon, laundry room/space is a must for me. 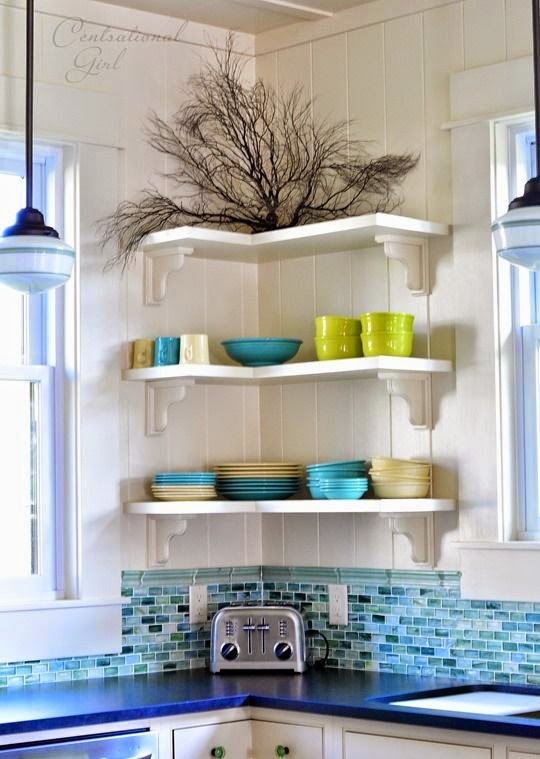 I love the idea of how the corner of the wall is being used. 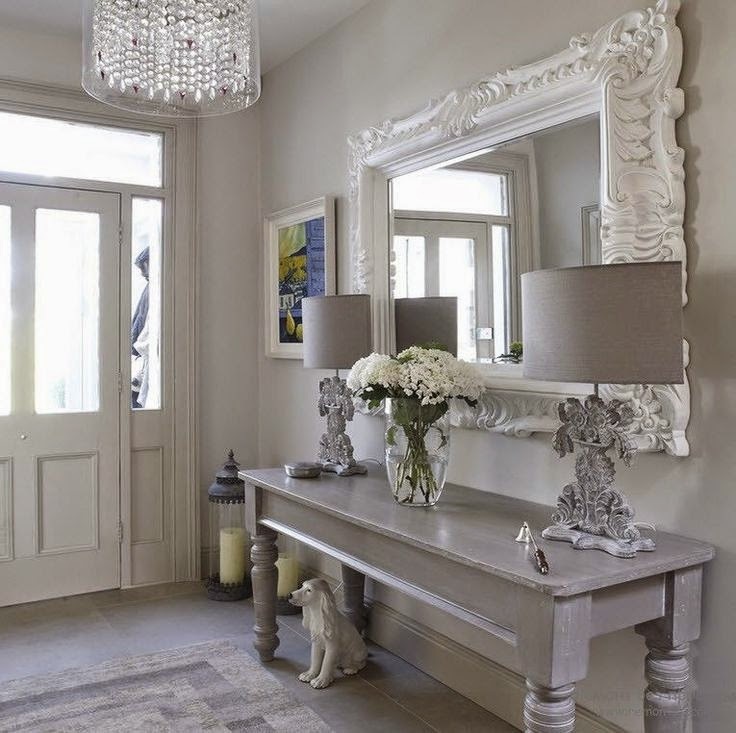 Great for smaller spaces. 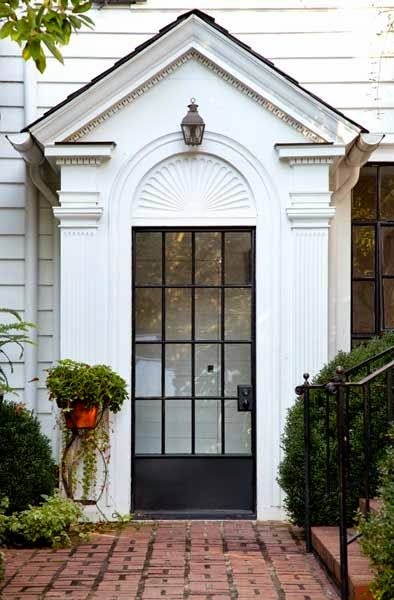 I love this entrance door. So appealing!! I love the iron on white walls, it gives that nice contrast. 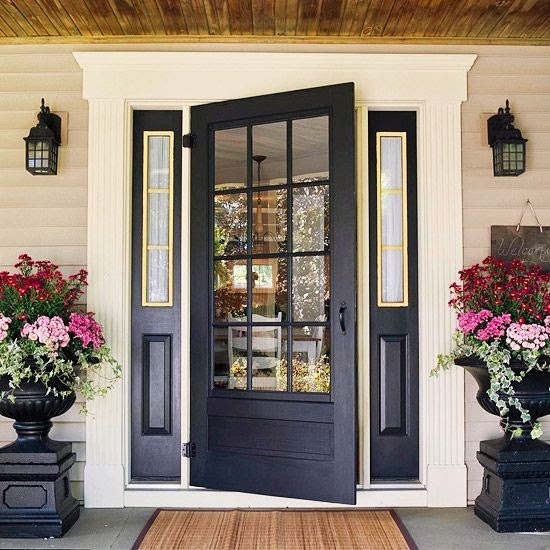 And if you don't like iron door, this will do! This is wonderfully planned layout. 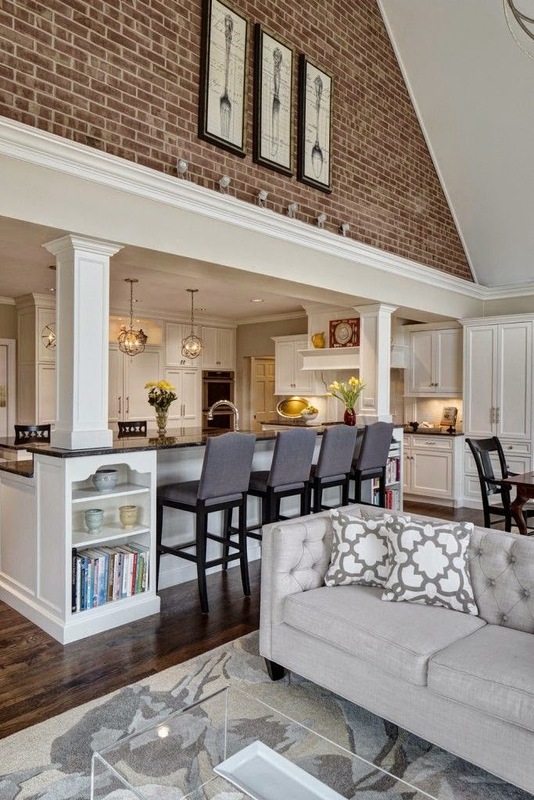 I love how open the kitchen is to the living room. With the bar on it adds character to the place. And those bricks! Uggh they are beautiful! 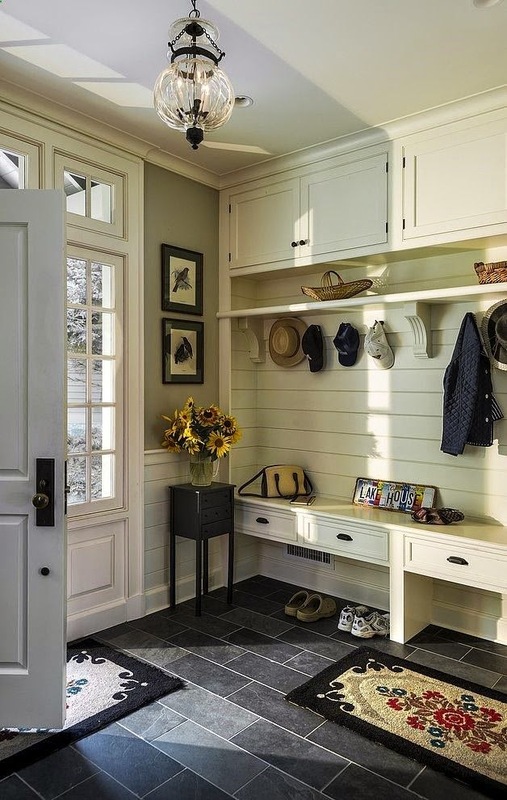 I'd love to have a nice and spacious entry way, and make it to a mud room. And when you have lots of guests, it wont be to crowded when they arrive at the entrance ha ha. 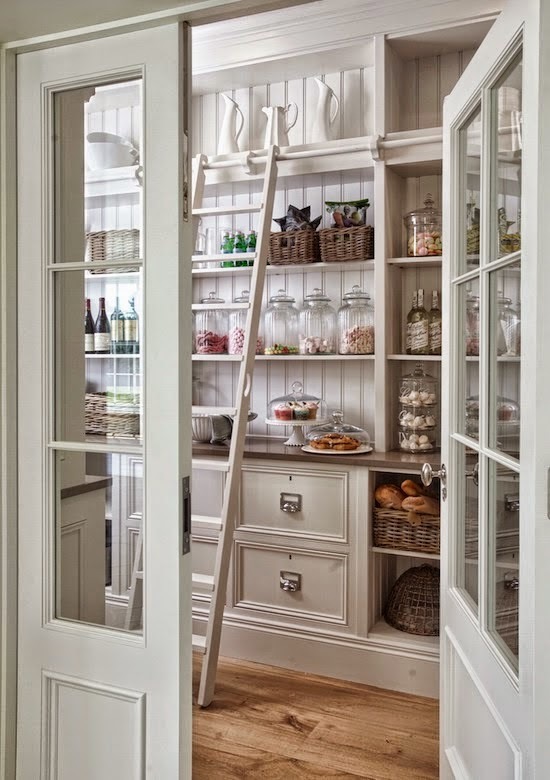 This is an awesome pantry! 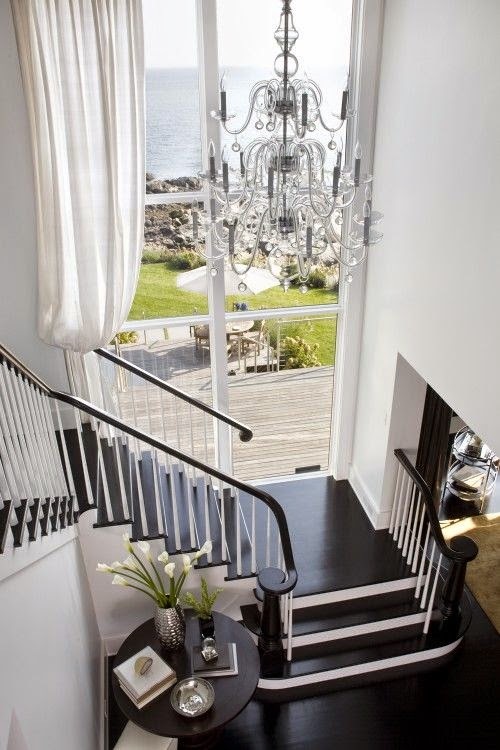 Love the huge window and the staircase. 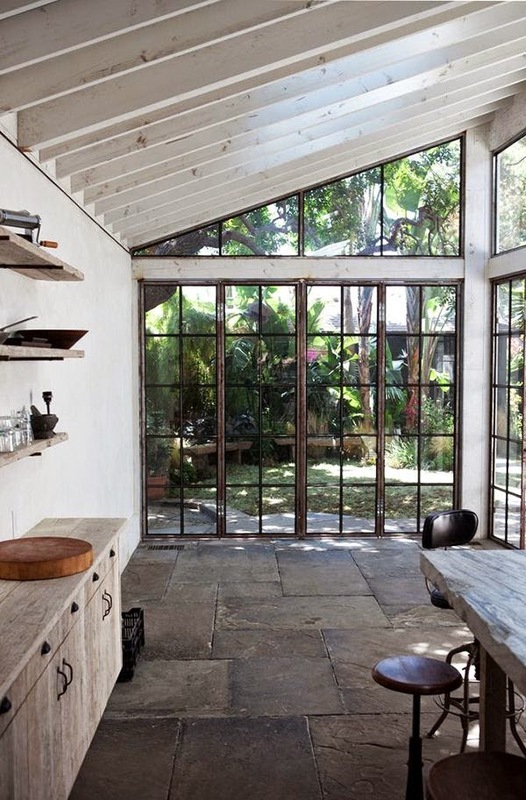 Love houses that have tons of natural light coming in. This hallway is beautiful! 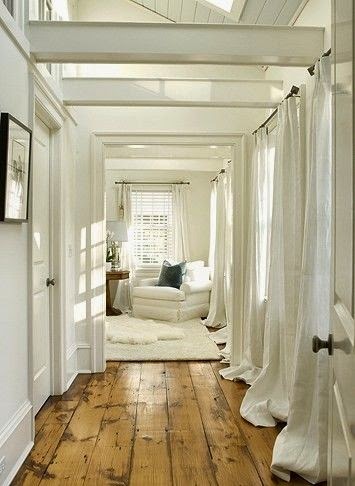 I love the oversize curtains and rustic hardwood floors. This will be a great plus to a home. SUNROOM! I'd love to make this as a reading area or my future studio and make clothes! Oh my! 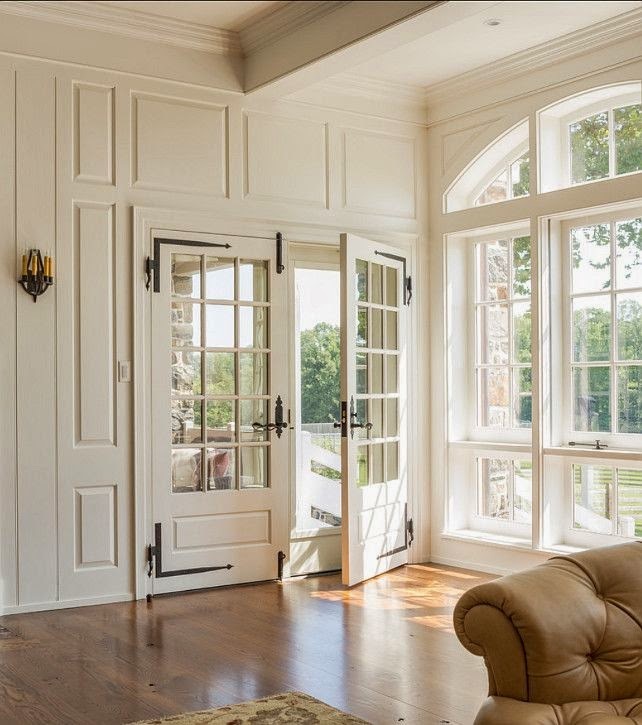 French doors are beautiful! This will be a great addition to a house. Wow! These are amazing! I definitely love the white as well. It makes it look modern and chic! I love all of these pictures!!! Especially all white rooms!!! I am so drawn to them... but how do you keep them clean?? 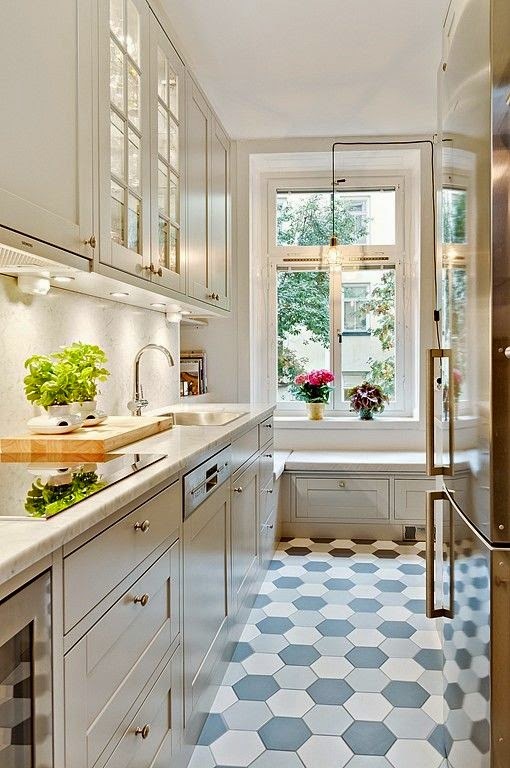 That sink is beautiful and I love the dark front door! I love your style!! Your picks are so chic!